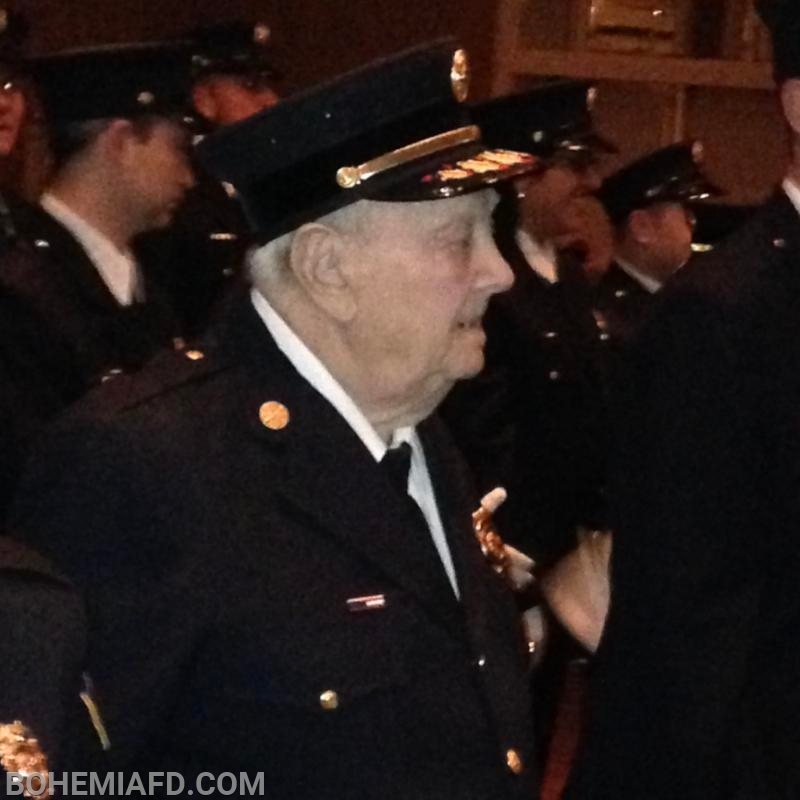 It is with deep regret that the Bohemia Fire Department announces Honorary Chief and 67 Year Life Member Laurence (Larry) Comodo has answered his last alarm. Funeral Services will be held at Moloneys Funeral Home on Lakeland Avenue In Bohemia, Monday, December 3rd from 2pm to 4pm and 7pm to 9pm. Firematic Services at 8pm. Funeral Mass will be Tuesday, December 4th at 10am at St. John Nepomucene Church in Bohemia. Interment at St. Charles Cemetery in Farmingdale. Thank you for honoring this very special man that I proudly call my uncle. He will truly be missed. Rest in Peace my Friend as you have served the community well. Chiefs and all members our family can't thank you enough for the love and support you have shown us during this difficult time. Dad loved you all and was always talking about his other family the fire dept. We all have so many memories growing up being a part of this great family and forever will cherish them. Thank you for always checking on dad and the great care packages. Thank you to all the wives for their love for dad and the fun times you know how much dad loved that. May god bless and protect you all....loved Larry's family.